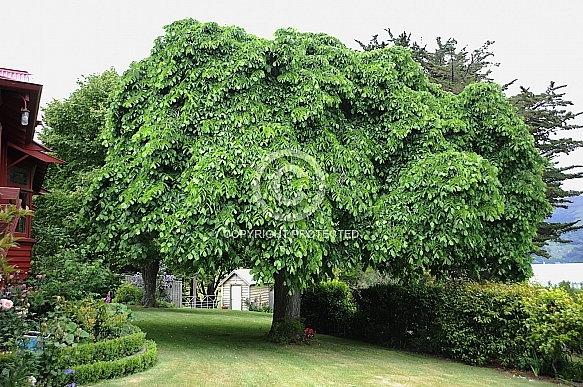 Description: Usually a relatively small, neat, compact weeping tree. Normally grafted as a weeping standard for nursery sales.. The magnificent specimen illustrated is estimated to be more than 80 years old. Photographed at Akaroa, New Zealand. Deciduous. Cold hardy.